Rogers Bespoke - meet the custom steel frame builder making works of art - LA VELOCITA. James’s love affair with steel frames began long before he decided to weld them himself. It was a long-time passion, and one that he held too dearly to turn into a profession. He was happy being an enthusiast, until a near-death experience caused him to re-asses. “The thing I wanted to do when I got out of hospital was go riding again. If it’s almost going to cost me my life and I still want to do it then it’s probably something that’s viable. I made the conscious decision to be a frame builder." James offers fillet brazed, lugged, and bi-laminate frame options made out of Columbus tubing, True Temper, KVA stainless or Dedacciai tubes. There’s plenty of options to suit your build including tube upgrades to Columbus Spirit/Life or full stainless steel, internal cable routing, DI2 routing, and oversize 44mm head tube. That commitment shows on Rogers frames. They display a minimalism that starkly contrasts with the bulges, blades, and asymmetry of carbon frames. There’s another crucial aspect to James’s frames: beauty. He has produced some achingly beautiful bikes. None more-so than his collaboration with artist Sam Songailo. We won’t go into too much detail, we are planning a full feature about this bike. People will often fawningly describe a bike as a work of art, but it is literally true of this one. An impressive range of bikes roll out of James's workshop. There’s standard road bikes, cyclocross bikes, tourers, and track frames sporting the Rogers badge. Each one has their own personality and pose their own challenges. Currently in his jig sits a frame marked Ronin. This will be James’s own bike, and the first flat mount disc frame made in Australia. That spirit of ingenuity is another common thread through James's bikes. Bike schematics stuck over a nearby whiteboard show there’s plenty to keep James busy for the near future. In a world where brands like Trek, Canyon, Giant, and Specialized will continue to wage price wars on each other, it’s heartening to see a queue for Rogers Bespoke frames. When the frames are good looking as those on James’s palmares, I certainly hope to see more of them on the road, gravel, and flying around cyclocross races. Steel will likely never find its way back onto the podium of a Grand Tour, but frame builders like James keep that tradition alive for us to enjoy. 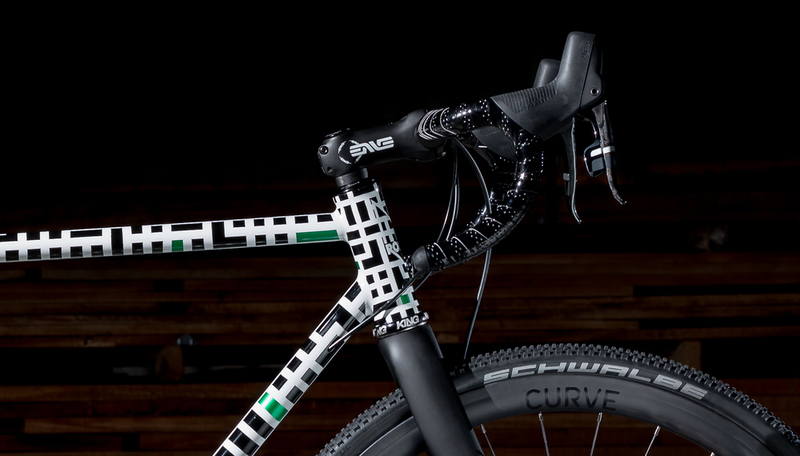 Check out some sweet new Australian made steel frames.